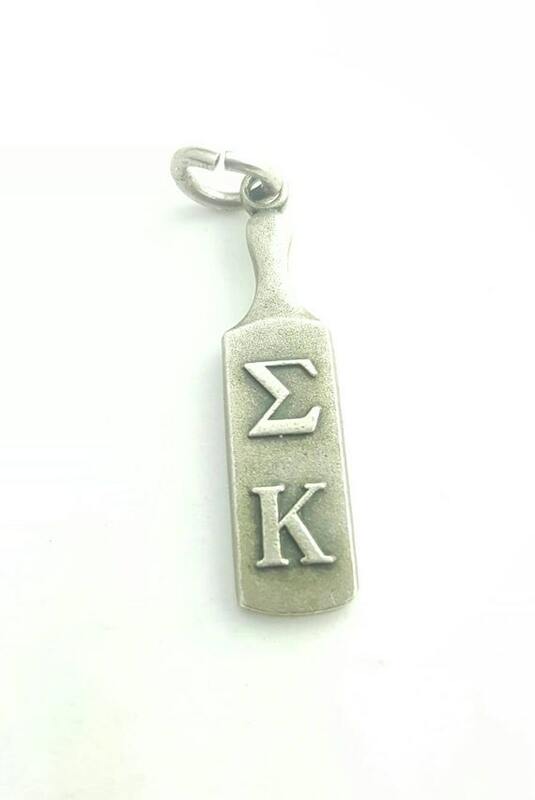 Vintage sterling silver charm with Greek Sigma Kappa letters adorning traditional paddle. Symbol of the philanthropic Sigma Kappa Sorority. Reverse side stamped with Greek letters Beta Psi and 62. Stamped Sterling.